Nantucket’s rich tradition of fishing as both a livelihood and pastime makes the iconic striped bass a natural subject for this class. 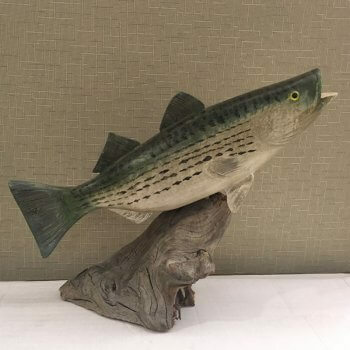 The Striped Bass will be approximately 12 inches long, carved from native white pine, using all hand tools. We will then sand detail and paint with acrylics. The finished Striper will then be set on a dowel, and wooden base.